I haven’t done a monthly running update in a while, and now that I’ve finally updated my Run Walk for Life logbook, I have all the stats again! LOL! Ran 120.1km – woohoo! I finally got to another badge at RWFL… you get a different badge in your logbook at 115km, and I’ve missed it by a few km so many times! Spent 13:49:14 hours on the road! Wow!!!! Ran 2 half marathons. That, in my mind, is an overachievement! My aim was to run one a month this year, and 2 was a stretch, I’m not sure if 1 a month is doable for me. I’ve now lost almost 9kg since I started running, and I can pull my skinny jeans and my smart work pants off without undoing the zip! LOL! I’m in dire need of a big shopping spree. I blogged about the Two Oceans Half marathon, but you haven’t heard about my Cradle run. On Monday, I did the Cradle half marathon. It was a relatively flat race… an out and back race (not a round route). I ran my fastest 21km ever, except Strava is not showing that because we stopped for the loo twice! Sam and I finished it in 2h19!! 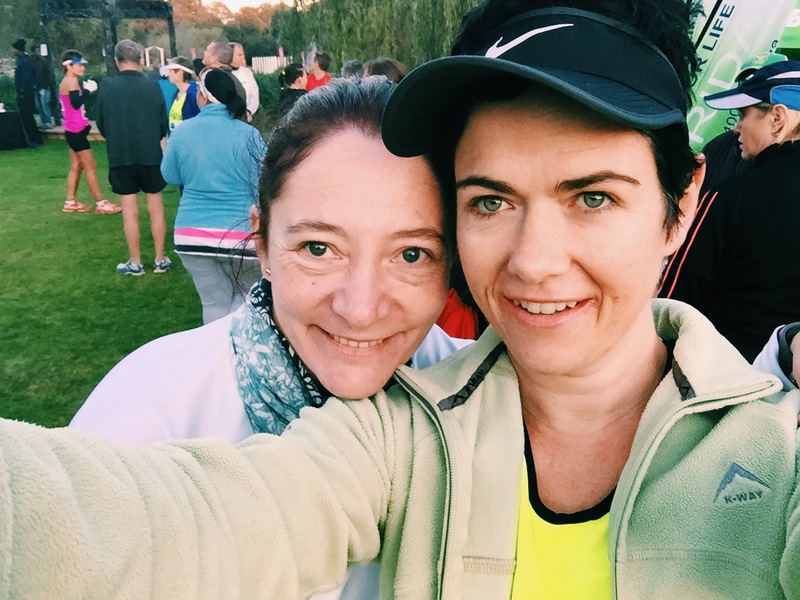 I was thrilled with the time… although I must say that the last 2km killed me, and Sam could easily have sped off and finished way ahead of me… but instead she got me going again and egged me on and we finished together. I love running races with her! She’s so awesome! A flattish race is hard, there’s no downhills to recover. We ran past lions!! So of course we had to stop to take photos! The Cradle of Humankind is a beautiful place, it was such a gorgeous run. People run in the strangest ways… some dude passed us at 15km wearing Falke running socks…. and crocs!! Crazy guy! Pre race selfie with Sam… it was freezing!